Above all, competency and experience differentiate coaching from professional consulting and life counseling. Alongside their clients, DGSv coaches create demanding coaching processes. They place emphasis on clarity in contractual obligations, establish a sustainable working relationship and orient themselves to the task at hand and the available resources. Together with their clients, members of the DGSv analyze the interplay between organizations, people, roles and the various groups involved (clients, customers and employees). They keep the framework conditions and the environment in mind, address the complexity and open themselves up to the required degree of reflection. 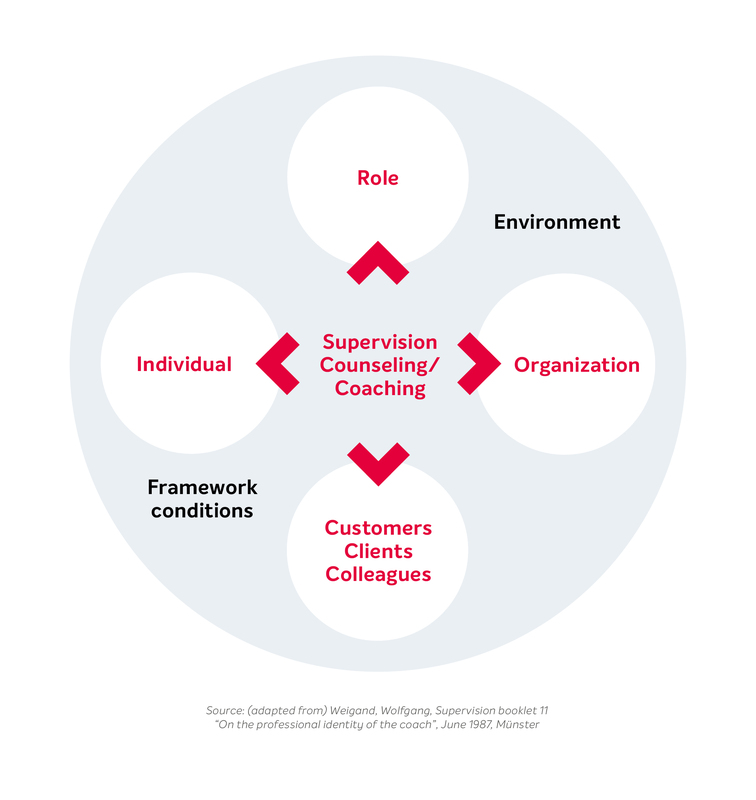 This competency in coaching, the core concept of supervision counseling, is in demand in various fields of the workplace under the name “supervision counseling” as well as “coaching”. For this reason, the DGSv bears both names in its title.